It is a privilege for me to award a scholarship to a meritorious student like you. You have studied hard, and you truly deserve this. (Describe in your own words). I wholeheartedly appreciate you for the efforts that you have put into completing the semester with excellent marks and made our University ranked upper grade, in the Education today magazine of Country name). 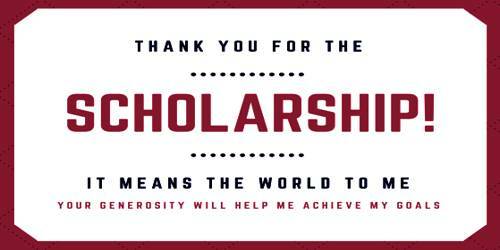 I know you are not financially strong, but I salute your spirit that you studied day and night to get this scholarship. (Cordially describe your Appreciation.) I am sure now there will not be any problem for you to continue with your studies. Your parents must be feeling proud of you. I once again would like to congratulate you and your family on such a major achievement of yours and wish that with your sincere efforts, you should touch the heights of success in your career.